Key events - Outcome of US-China trade talks & Budget 2019. S-REITs remain in favour, interest should spill to small-mid caps – Large caps: Mapletree Commercial Trust, Mapletree Logistics Trust, Frasers Logistics & Industrial Trust and Mapletree North Asia Commercial Trust; small caps: OUE Commercial REIT, Ascendas India Trust, and CapitaLand Retail China Trust. Sembcorp Marine key beneficiary if merger speculation returns to Singapore yards. Earnings season picks after January’s rally – ST Engineering, Yangzijiang, ComfortDelGro, Netlink Trust, StarHub. At 3200, STI trades at slightly above 12x (- 1SD) 12-month forward PE. The outcome of the 90-day trade truce that ends on 1 March is a key focus this month. The YTD global stock market rally leaves little room for disappointment. We are watchful that US stock market indices have limited near-term upside. Rotational interest could surface here, supported by regional funds inflow with the USD pullback. The STI support level is at 3123, resistance at c.3225, 3270. Sector interest should sustain after FED Chairman Powell re-iterated the FED’s dovish stance. Consensus now expects the FED to hold rates steady this year. We continue to like MAPLETREE COMMERCIAL TRUST (SGX:N2IU), MAPLETREE LOGISTICS TRUST (SGX:M44U), FRASERS LOGISTICS & IND TRUST (SGX:BUOU) and MAPLETREE NORTH ASIA COMM TR (SGX:RW0U), and recommend to take profit on CAPITALAND MALL TRUST (SGX:C38U) given the stock’s limited 2% upside to our S$2.44 Target Price. Interest should spill to the small-mid caps, and our picks are OUE COMMERCIAL REIT (SGX:TS0U), ASCENDAS INDIA TRUST (SGX:CY6U), and CAPITALAND RETAIL CHINA TRUST (SGX:AU8U). 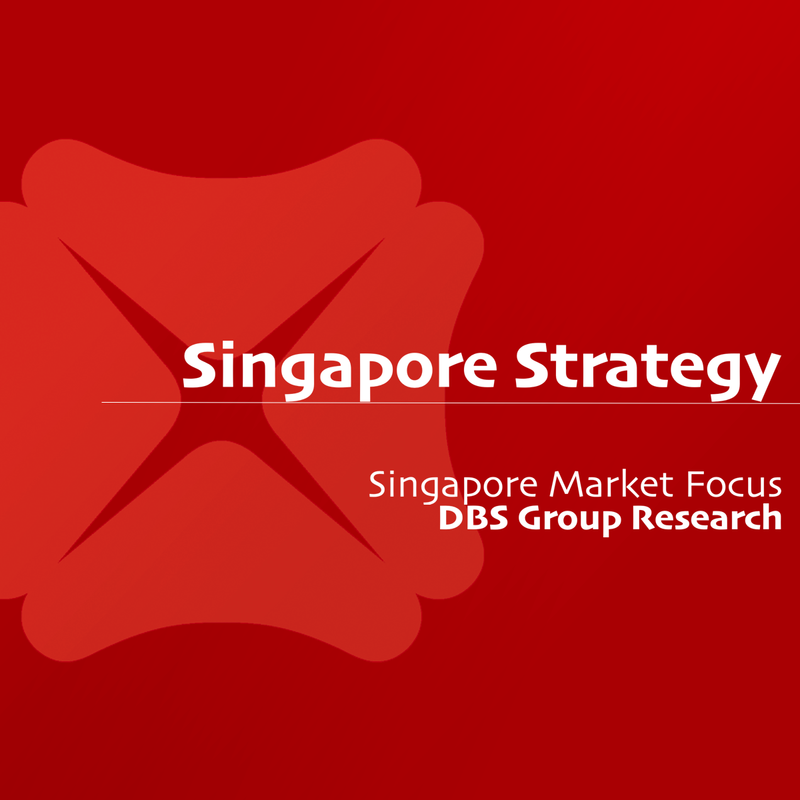 Sector interest should pick up if merger speculation between Singapore Yards. This is after merger news of Korean juggernauts Hyundai Heavy Industries (HHI) and Daewoo Shipbuilding & Marine Engineering Co., Ltd (DSME); and merger of CAPITALAND LIMITED (SGX:C31) and Ascendas Singbridge. SEMBCORP MARINE LTD (SGX:S51) is our top pick in the event of merger speculation. bombed out stocks with prospects of earnings or operational improvements going forward (STARHUB LTD (SGX:CC3)).